For more information about Women with Disabilities Victoria please visit our website at www.wdv.org.au. This fortnightly email is to keep you updated on the work of Women with Disabilities Victoria, and updated on news related to our priority areas. Contributions to this eNews are welcome, email jen.hargrave@wdv.org.au. I have had a wonderful celebration of International Women’s Day this year which began on the 5th March with a visit to Wangaratta as guest of Women’s Health Goulburn North East to speak at the IWD Breakfast. It was great to meet the women of the north east and to share our story. About 70 women attended the breakfast and I talked of the importance of involving women with disabilities in all women’s activities and in work addressing women’s gender disadvantage. On Saturday the 7th I traveled to Auckland as a guest of the Auckland Disabled Women’s Forum along with Sue Salthouse from ACT Women With Disabilities. We were greeted with a traditional Maori Porwhiri (welcome) a beautiful way to be introduced to those present who honoured their mothers and grandmothers as part of the welcome. A ‘High Tea’ was held on Sunday afternoon and then on Monday we facilitated a workshop about how to develop the Forum to be a funded organisation representing women with disabilities in New Zealand. Violence, access to health, parenting issues, transport and employment opportunities for women featured strongly in the issues raised by the women present. Sound familiar? It was an important opportunity to gain a deeper understanding of the common issues that we confront as women with disabilities in the Pacific region and WDV will continue our links with the Auckland Forum. Women with disabilities from the Barwon region came together on March 10th to explore the establishment of a leadership network for women with disabilities in the Barwon area. The first meeting was reported by the Geelong Advertiser. 12 women with disabilities attended and worked on what they would like to see gain from a leadership network for women. Many of the women see this as an opportunity to build on work they started in community leadership programs including WDV's Enabling Women and the Committee for Geelong's Barwon Lead. Another Barwon meeting has been planned for early April. It is planned that this group will inform a state wide leadership network for women with disabilities which is also forming. PHOTO: Jane Oldfield, Deb Haygarth and Jacqueline Pierce working towards a Geelong Leadership Network for Women with Disability. BY Peter Ristevski, Geelong Advertiser. 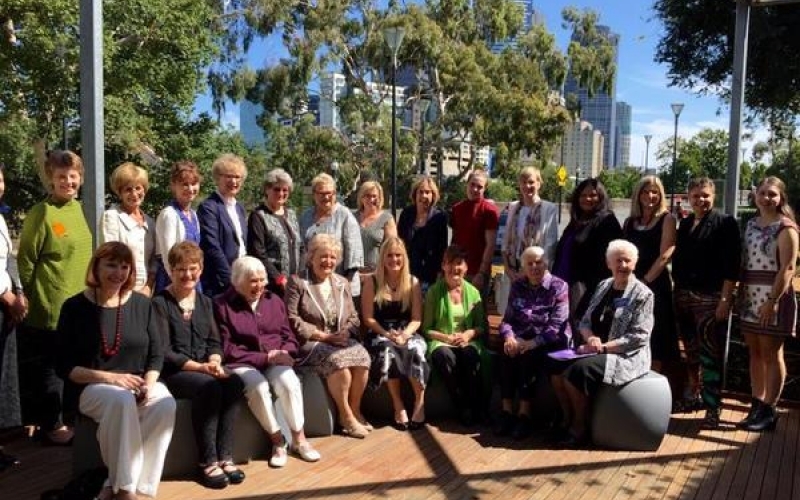 Congratulations to all the outstanding women recognised in the 2015 Victorian Women's Honour Roll. We would like to particularly highlight two women. 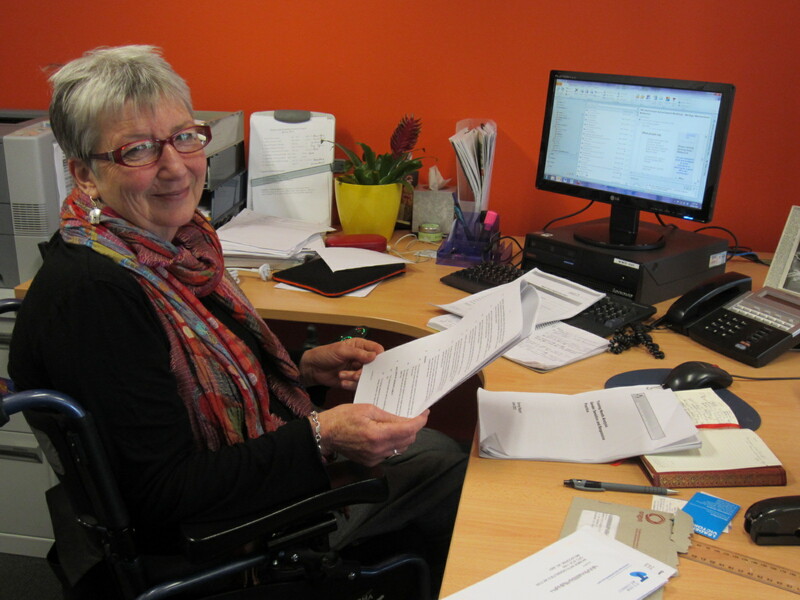 Rosemary Malone is CEO of Gateways Support Services, one of our partner organisations in Geelong. Rosemary's leadership has been integral to implementing the Gender and Disability Workforce Development Program across the Gateways service. PHOTO: 2015 Women's Honour Roll Inductees including Rosemary Malone (centre back row in black) and Karleen Plunkett (front row in Green). Photo from Gold 1242. Karleen Plunkett, WDV member, was inducted for her work bringing change for Victorian women with a disability. Karleen began advocating for the rights of women with disabilities through her role with the Disability Employment Advocacy Centre. She became a peer educator for the “Paps I Should” project at Women’s Health West, and then a Peer Education Program Coordinator, where she implemented state-wide initiatives including an education program to encourage women with disabilities to undergo pap testing and breast checks. 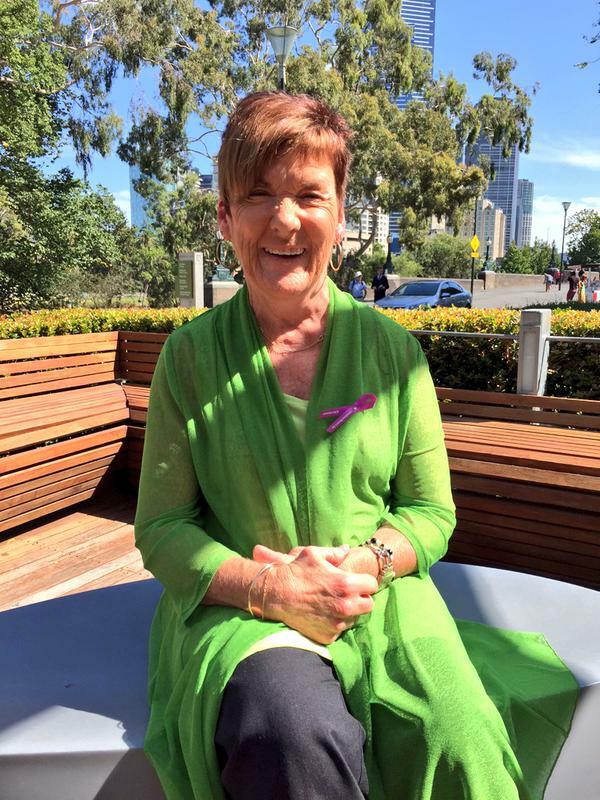 In her current role at La Trobe City Council Karleen works to improve disability access to health and transport, reducing violence against women with disabilities and their children, and advocating for access to justice. As a founding member, Karleen holds an important place in WDV history. 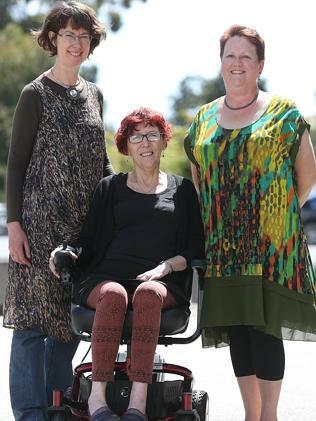 WDV's Claiming Our Future records, "On Good Friday 2003, Karleen Plunkett, Lesley Hall and Keran Howe held a teleconference and drafted a submission for project funding to develop a model for advocacy for women with disabilities in Victoria." Karleen is still a key contributor to WDV submissions and member events. PHOTO: Karleen Plunkett (PHOTO by Harriet Shing). If it is difficult for you to talk about money with your partner, you are invited to attend a WIRE focus group to share your thoughts, feelings and experiences about this often tricky topic. what strategies will encourage women to have safe and honest conversations about money decisions with their partners. Simply choose a date that suits you! Light refreshments provided and all participants will receive a $30 voucher. Leave a message with your name and contact number, and Sarah will get back to you as soon as possible. This research is supported by a grant from Financial Literacy Australia. Women's Health Victoria is running a survey. They would like to hear from anyone who has had contact with them and/or used their resources, services or websites in the last 3 years. Your valuable individual feedback will help to inform the continual improvement of their services, products, and communications. The survey should take about 15 - 20 minutes to complete. If you have any questions about the survey, or would prefer to complete a paper copy, please Women's Health Victoria. The Powerful Parents Self Advocacy Group (PPSAG) ran a whole day forum, 'It Can Happen If... Creating Positive Change for Parents with Intellectual Disabilities' on March 12th. PPSAG is a group of parents with an intellectual disability who believe that most parents should be supported to have their children at home with them. They meet up every month to support each other and think of ways to make the system fairer for parents with intellectual disabilities. Powerful Parents President, Susan Arthur, talked about setting up the group. She remembered realising that she wasn't't alone, that many other parents with intellectual disabilities had had their children taken away from them. She realized that if those parents could meet they could support each other and tell other people about their rights and skills as parents. At the forum the group launched a short film about their experiences as parents - with their children and with Child Protection. The forum's MC, Paul Dunn described the film, "It highlights the group's grief and the struggle for change. It recognises their role and capacity as parents." Discrimination relating to marriage, family and personal relations shall be eliminated. Persons with disabilities shall have the equal opportunity to experience parenthood, to marry and to found a family, to decide on the number and spacing of children, to have access to reproductive and family planning education and means, and to enjoy equal rights and responsibilities regarding guardianship, wardship, trusteeship and adoption of children. 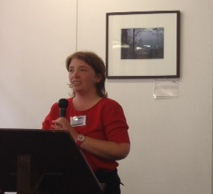 The forum was opened by Gabrielle Williams MP, Parliamentary Secretary for Carers and Volunteers. She spoke about how we need to find new ways to reduce barriers for parents with disabilities. Then Mr Arthur Rogers spoke in his role overseeing NDIS implementation at the Victorian Department of Health and Human Services. He spoke about how the new national disability system will need to support parents with disabilities by working with housing, child protection and other services, and by encouraging self advocacy. Professor Gwynnth Llewellyn from the University of Sydney dispelled the attitudes of people who believe people with intellectual disabilities can't be good parents. She said, "IQ or intelligence is not a predictor of parenting capability. Parenting capability can be learned, it can be taught." After the presentations there was time for everyone to share ideas on how to create positive change for parents in the future. So many self advocates and workers from different services wanted to attend the forum that the organisers could not accept all the RSVPs. To organise the forum, Powerful Parents were supported by Reinforce Self Advocacy, Office of the Public Advocate and Healthy Start. Healthy Start is a national capacity building strategy to improve the health and well being of children whose parents have learning difficulties. See the Healthy Start website for resources on how support for people with intellectual disabilities to parent well. PHOTO: Susan Arthur, President of Powerful Parents Self Advocacy Group, speaking at the 'It Can Happen If...' forum. The Commission on the Status of Women (CSW) is meeting at United Nations Headquarters in New York. Australian women with disabilities are well represented at the discussions by Carolyn Frohmader (Executive Director, Women With Disabilities Australia) and Therese Sands (Co-CEO, People With Disability Australia). Carolyn will write up a report on the discussions when she returns to Australia. Until then, updates are available on the Women with Disabilities Australia Facebook page. "I will not have my life narrowed down. I will not bow down to somebody else's whim or to someone else's ignorance." Dell Hooks in Teaching to Transgress: Education as the Practice of Freedom. "After all those years as a woman hearing 'not thin enough, not pretty enough, not smart enough, not this enough, not that enough'... I woke up one morning and thought, I am enough." Anna Quindlen in Lots of Candles, Plenty of Cake. The F Word is a TV show described as 'slightly silly, mostly educational Feminist talk show.' It will come to Channel 31 in June. 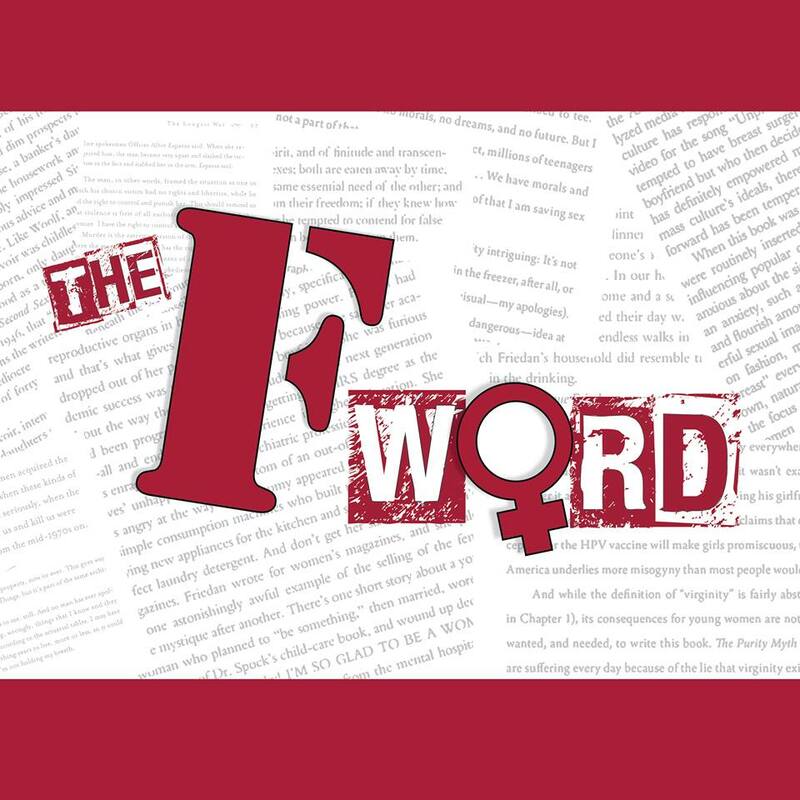 The creators say the F Word promises to offer 'loud, angry, hairy legged radicals, gathering to work out how to burn their bras in the 21st century,' The F Word team includes proud women with disabilities (some of whom are WDV members). An F Word website is online for blogging about all things feminism, and the F Word Facebook page is great for staying updated about the TV show. Copyright © 2015 Women with Disabilities Victoria, All rights reserved. All of our contact information can further be found at wdv.org.au/contact_us.htm.